So this school holidays I am so sorted its not funny as I am off to the US and Mexico for my first family holiday in 2.5 years (yes you read right!!) but last school holidays I really wanted to do more with the kids than just hang out at home and we were invited to go to Sydney Sea Life Aquarium in Darling Harbour as the Dugongs had just arrived back in..
We had the BEST day.. the pictures speak for themselves but the kids raced around, answering all the quiz questions and trying to find the ugliest fish, the prettiest fish and of course we had to find Nemo, Dory and Marlin! I was busting to see the Sea Cows (Dugongs) as I had never heard of them until I came to Aus and just think they are desperately cute, a sort of ugly cute, I want to cuddle them. I might be odd, I am not sure but that was my major squealing moment followed quickly with the kids when we got to the shark tank. 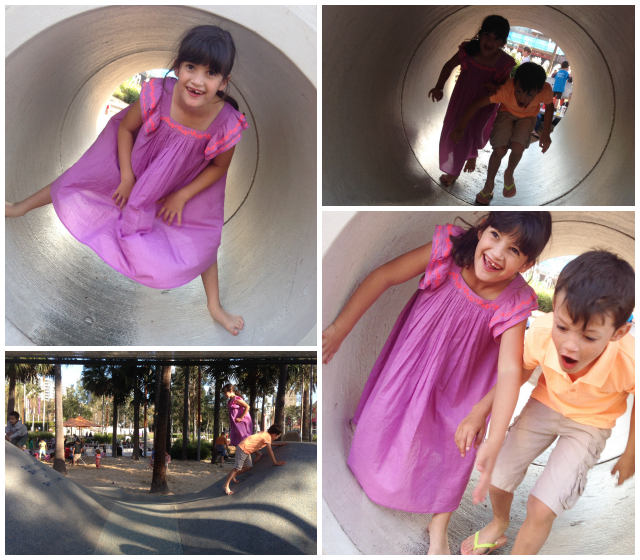 Post exit we had ice cream and went to Tumbalong Park and because you get set price all day parking if you go to Sea Life I wasn't even watching the clock, the kids went Parkour mad and we grabbed dinner before heading home.. does a day get much better for kids and parent? That was last hols but I wanted to share how fab it was for those not leaving the country over Chrimbo as truly it is worth the visit.. SO much fun and next time I will actually go earlier so I can do Tumbalong Park action before AND after Sea Life..
Have you been? 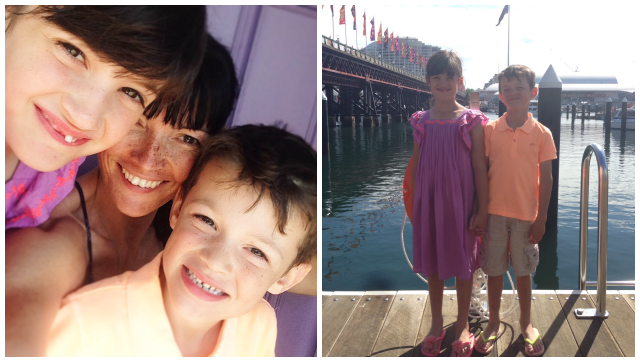 Got any fab tips for awesome things to do with the kids that you can enjoy too? I love the Aquarium, there's so much to see and do for adults and children alike. 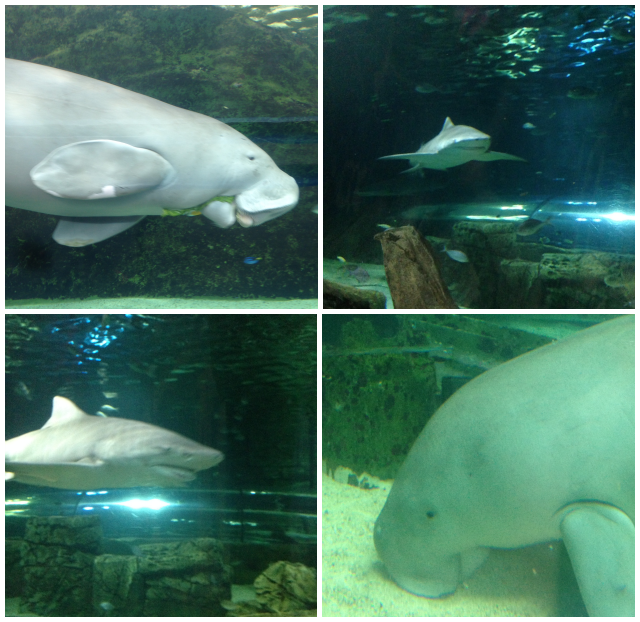 The dugongs are totally my best, they are just adorable! And the penguins always come a close second. I'm such a big kid, I love trying to answer all the interactive questions as I go round. Highly recommended! I suggest getting a multi pass and then popping into Madame Tussaud's next door - dress up heaven! I love taking the kids to the aquarium. It is the perfect all weather activity and everyone has fun! a hamper feast to entertain. the bubbles will add that spark!! I would add a Torrone, the classic Italian nougat. The finishing touch to a perfect hamper shared with someone you love! Packed and Ready to Rock..